Running-Physio.com is a website aiming to offer expert advice in preventing and managing running injuries. The website is owned and managed by Tom Goom, Physiotherapist MCSP, HCPC, BSc (Hons). Tom is also the Clinical Lead at The Physio Rooms, Brighton. Running-Physio.com contains information about how to make an appointment at The Physio Rooms but personal data gathered on this website is not shared with The Physio Rooms. (optional) website Your information is only used to communicate with you as part of the discussion on that page. The name you give will be published alongside your comment. Email address Your information is used to send you a notification when the running repairs online course is open again and to make you aware of offers regarding running repairs online and other content that may be of interest. You can opt-out of this list at any time by contacting us. Payment information (held in paypal) The information passed back to Running-Physio.com by EventBrite is only used to administer the Running Repairs Course you have registered for. Event Brite do not share your payment information with Running-Physio.com. Videos and photos of individuals seen in clinic at The Physio Rooms are sometimes used as part of content on the Running-Physio website or within the Running Repairs course materials. In most cases individuals are unlikely to be identifiable from the photos/videos; however as this cannot be guaranteed, wherever photos or videos of individuals are used explicit written consent will always be sought and will be held on file both within the client record at The Physio Rooms and by Running-Physio.com. Individuals have the right to withdraw their consent to this usage at any time and Running-Physio.com will make all reasonable efforts to remove photos/videos from content; However where a photo/video has been made available on the website or via running repairs course materials it may not be possible to remove all copies of the data. This is fully explained when consent is given. 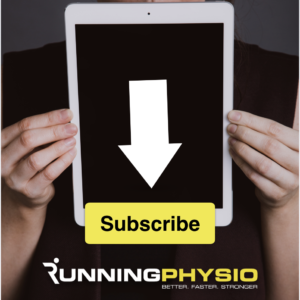 By accessing the content on Running-Physio.com you consent to the collection and use of information by Running-Physio.com as specified above.